Get 90 day access to two courses for one low price!! These online, self-paced courses are sponsored by My San Antonio Mobile Notary, a BBB A+ Certified, veteran-owned business. The courses are designed to educate current Texas Notaries Public, and those interested in the laws, rules, and regulations governing the Texas Notary Public. Why should you take this training? Purchase the Online Workshop and Advance Course Bundle for $150 (Save $20) with 90 days course access. 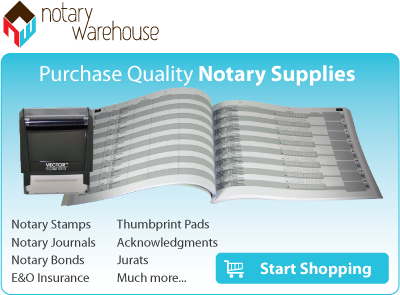 We offer the quickest and easiest way to securely order your notary supplies online while saving on the same notary supplies you find elsewhere! Our notary supplies conform to state notary laws and use only the highest quality materials while implementing the latest technology to produce high-quality notary supplies. Save $20 by purchasing the bundle. Monthly payments not available for bundle purchases.